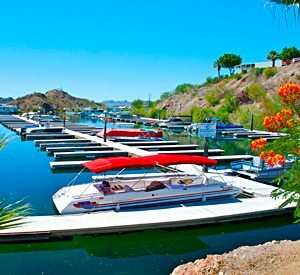 Park your boat or watercraft in one of our year round some of the best Lake Havasu Boat Slip Rentals available! Havasu Springs Resort offers over 300 boat slips available for daily, monthly, and yearly rental. Boat slips range from 20 feet to 30 feet in length and can be reserved with the Front Desk. A limited number of 50’ houseboat slips are available as well.